Yegor is a handsome little monkey with blonde hair and brown eyes. He was born with a VSD, which led to pulmonary hypertension, but he was blessed to have had corrective surgery in April of 2008 and is doing fine now. He will greatly benefit from seeing a cardiologist here to ensure that any hypertension can be controlled or further corrected with surgery. 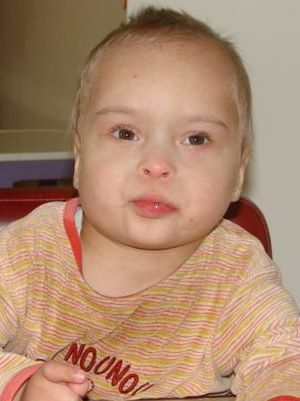 Yegor also has bilateral cryptorchidism, which can be corrected surgically. Yegor’s grant of $11,859.00 has been gifted to Dagmar, Pearson and Grady.